Casa Prana is an elegant and comfortable holiday home, available for short and long term rentals, with its own private pool. 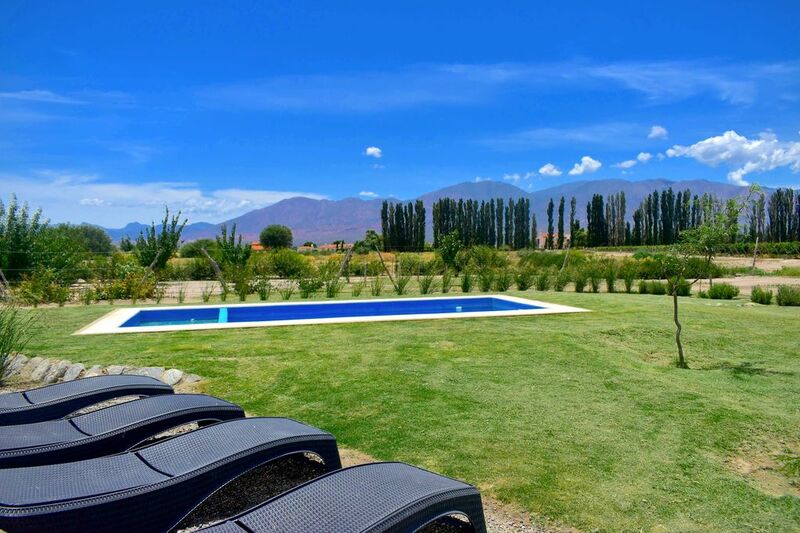 La Estancia de Cafayate is a 550-hectare exclusive estate, nestled near Cafayate. Colonial charm and fine architecture are supplemented by amenities, such as equestrian, tennis, spa, pool, fitness and golf facilities. The latter incorporates a clubhouse, pro-shop, lounge and restaurant. La Estancia de Cafayate is developed around 72 hectares of vineyards that have been woven organically throughout the property. Casa Prana is located in the middle of La Estancia, just steps from the golf clubhouse and adjacent to the vineyards.